New Zealand - here you will find a land so breathtakingly beautiful. A magical place where the air is pure and the lakes an incredible shade of blue. Two Islands, one inspiring experience stretching from the tropical bays in the north to the glacial fjords of the south. 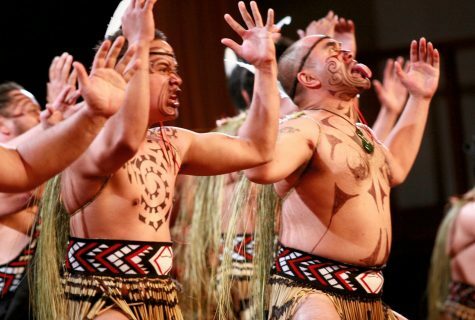 A land where the indigenous Maori culture is accessible and engaging: join in a haka (war dance) feast on a hangi (food cooked in the ground), and partake in their vibrant living culture in their song, dance, arts and crafts. The sub-tropical North Island is a road trip delight around rolling hills, ancient rainforests, boiling mud pools and myths and legends. 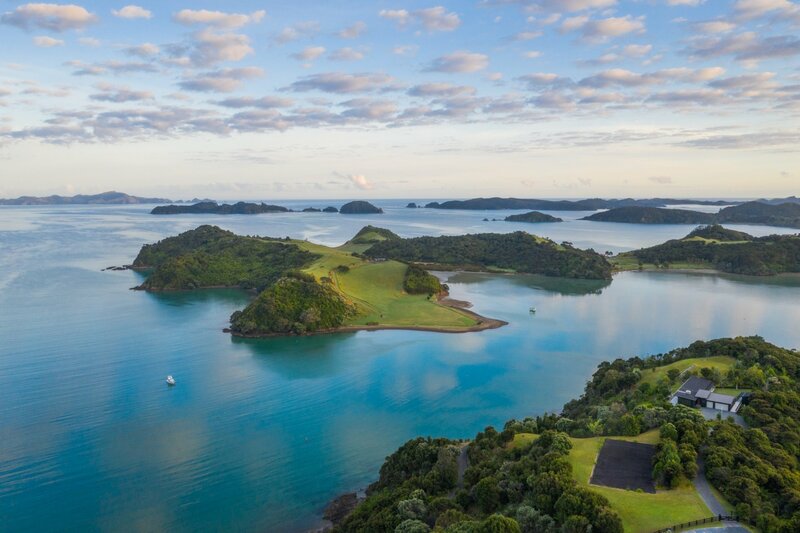 Key experiences are to take a ferry from Auckland to Waiheke Island to explore its boutique wine region with wine tastings from award winning winerys and talks with wine makers. Enjoy a gourmet walking tour in Auckland's inner vibrant city; swim with dolphins in the Bay of Islands; take a scenic flight out to Cape Reinga and have a go at 'sand surfing'; visit Rotorua's hidden lakes and craters; feast your eyes on the art scene in Wellington. The South Island has an all together different character which is first experienced on the ferry crossing into the Malborough Sounds with temperatures often warmer than windy Wellington and the sun shining. Picton is the gateway to some key South Island highlights; sea kayaking in Abel Tasmin National Park; early dawn hot air balloon flight over the wineries with a tour of some of the best estates; getting up close to whales, dolphins and albatross in Kaikoura; drive through the most spectacular scenery to Aoraki Mount Cook. Wherever you travel in New Zealand the geology and geography will continually surprise and amaze you. It is little wonder that film maker of 'Lord of the Rings' headed to the national parks for some of the most renowned scenes. 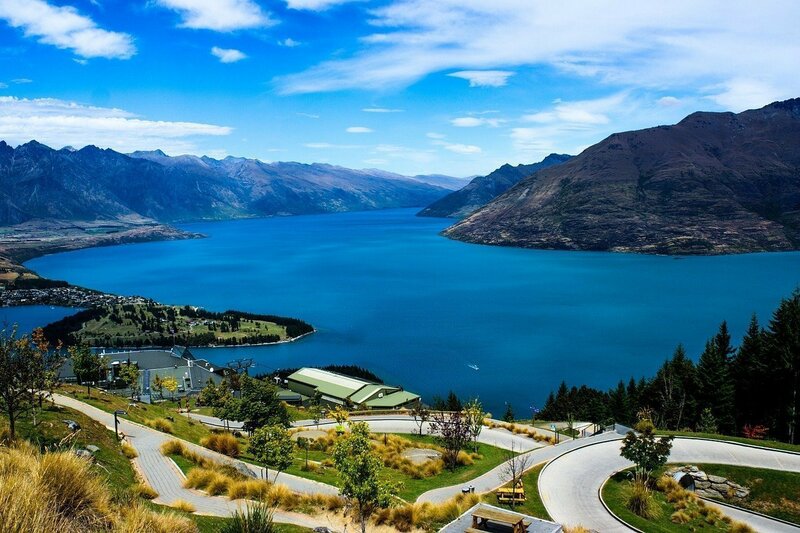 To experience some of the best head to Queenstown, the country's capital of adventure brimming with life and energy. From here take to the skies to appreciate the full grandeur of the Alps region. 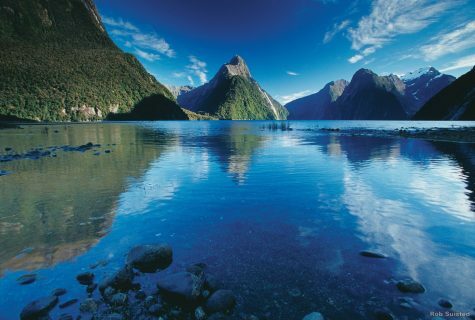 Hover over glaciers and frozen lakes, fly low over the cliffs and fjords of Milford Sound and along the Tasman Sea. Head to Glenorchy for the mystical landscapes, jet boating and kayaking or take to some of the best hiking trails New Zealand has to offer. The itinerary below offers Highlights of New Zealand as a taster of what is possible, despite there being so many other options. So look no further as we are your one-stop travel expert to co-ordinate all the elements of your holiday including flights, stopovers, accommodation, sightseeing and tours from start to finish. Simply contact us for your personalised itinerary. DAY 1: Depart for Auckland. Given the distance you need to travel this will take you a full 24hours, if not more depending on your starting point. 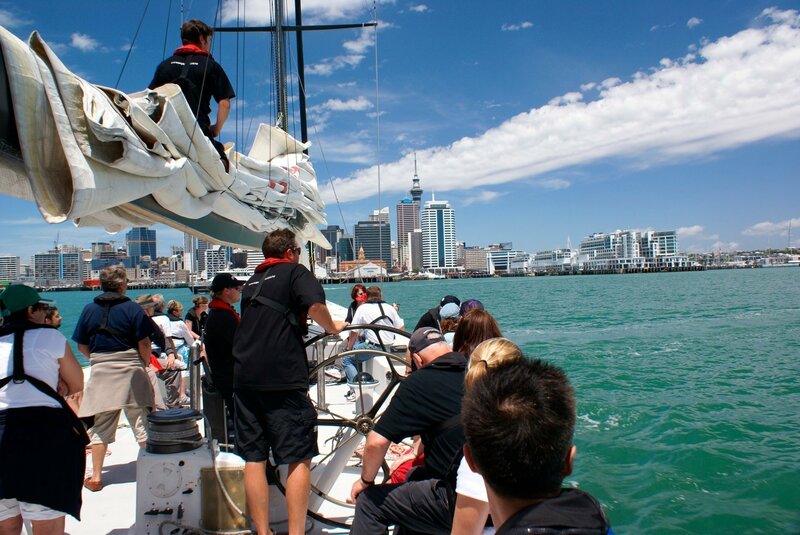 DAY 2: Welcome to Auckland, known as the City of Sails, regularly rated as one of the world's most liveable cities. On arrival you will be transferred to your chosen accommodation in Auckland for an overnight stay. Whilst Auckland is not on the scale of London and New York for excitement but there is plenty to do. A foodies paradise and an aquatic playground the city is easy to place to relax after a long flight. The island of Rangitoto and its near perfect volcanic cone is a picturesque backdrop to the city. DAY 3: Collect you rental car in the morning and head on north, over the Harbour Bridge and through the northland suburbs of Auckland, where you soon pick up part of the Scenic Drive Twin Coast Discovery Highway. With beachside homes of the Hibicus Coast to the east and the bush covered Waitakere Ranges to the west the 4 hours drive to Paihia will pass quickly, or slowly depending on how many photo stops you take! On arrival in the afternoon enjoy a cruise to Cape Brett and the famous 'Hole in the Rock' passing around some of the 150 islands that make up this marine area, perfect for crusing, marlin fishing or sea kayaking. DAY 4 & 5: You have 2 full days in the Bay and it is worth taking some of this time out to meet with a local Maori guide who will provide an insight and history to the Bay of Islands. Take a visit to Waitangi, the birthplace of New Zealand, from where you can engage in a self-guided tour of Treaty House, the Maori Meeting House and the war canoe. For the rest of the time you are free to explore and enjoy the beauty of this area - swim with dolphins, view the biggest Kauri tree in existence, take the ferry across to the township of Russell, New Zealand first settlement. DAY 6: Today you will leave the car at Kerikeri Airport and fly down to Lake Taupo for 2 nights. After collecting your hire car take a short drive to your hotel, overlooking the the lake, and start to explore the local area. If you are in the mood there are mountain bikes for cycling down to the lake, bush tracks for a scenic easy walk to the lake, calm swimming areas and a boat launch if you fancy some fishing. Or head for the popular nearby al fresco Café and well known local artists gallery and ceramic studio. DAY 7: Lake Taupo is a beautiful setting to stay and enjoy the delights of geothermal wonderlands famous to the Rotorua area. 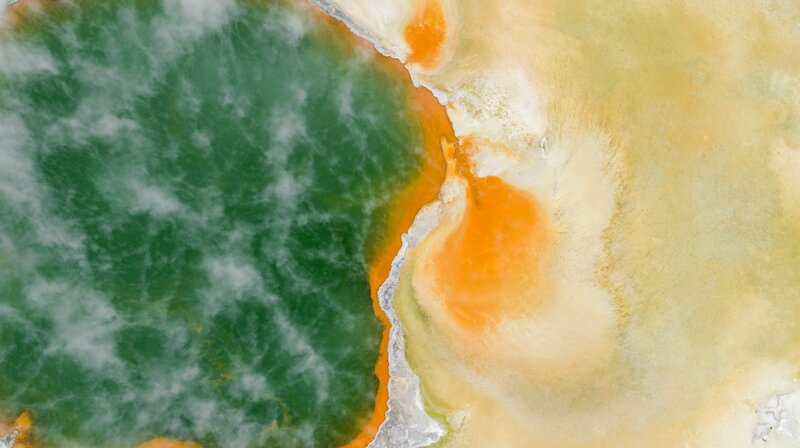 At the Wai-O-Tapu Thermal Reserve you can walk at your own pace and marvel at the reserve's unique features that include the world famous Champagne Pool, geysers, bubbling mud, steaming ground, expansive vistas, huge volcanic craters and sinister formations. Stop at the mighty Huka Falls then wander around the popular lakeside resort of Taupo. DAY 8 & 9: Drive to Hawke's Bay for 2 nights and explore the wine country. The rest of the first day is free to spend at leisure to discover Hawke's Bay, often referred to as the 'Tuscany of the South Pacific'. 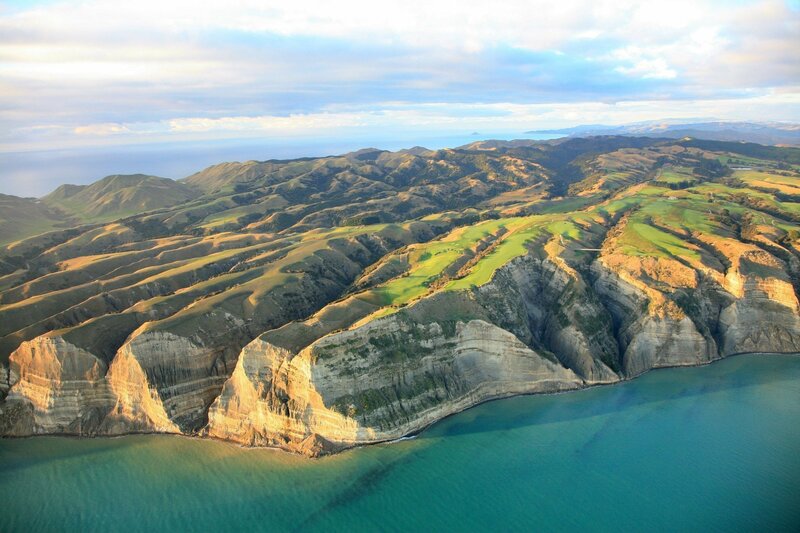 You can explore the countryside and city pathways on your latest model of mountain bike, you can take a game of golf, visit the gannet colony at Cape Kidnappers or ride a hot air balloon. Save the second full day for touring the vineyards on a local guide walk that will bring this delightful area alive and of course offer wine tastings in the local wineries. DAY 10 - 11: Today you will travel to the South Island, on a flight to Nelson, a popular destination for international and local visitors and it is not hard to see why. The area boasts 3 national parks - Kahurangi, Abel Tasman and Nelson Lakes. The area can also satisfy nearly every other wish from food, beer and wine to arts and crafts combined with great weather and beautiful surroundings. As a result you need to book up early to get the pick of the accommodation here!. Over a day and half experience yourself the legendary Abel Tasman National Park. Cruise into protected bays and view the fur-seal colony on Tonga Island. Walk the coastal track that is well formed and shaded and pops out into protected swimming areas. Alternatively enjoy a day on the water with some sea-kayaking. 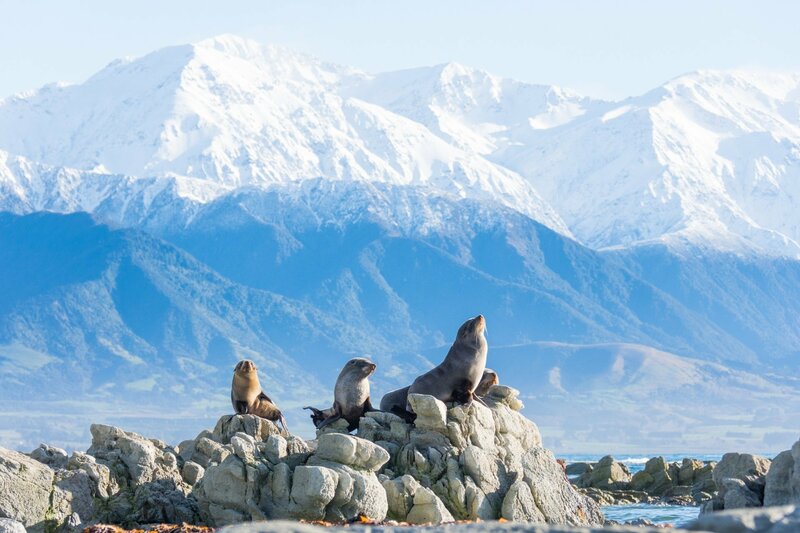 DAY 12: Today take a lesiurely drive over to the east coast and onto Kaikoura. A seaside settlement where the ocean currents converge and in doing so the conditions create the perfect place for marine life including Sperm Whale that can be seen from boat, a light aircraft or helicopter, the latter we highly recommend for the best viewing seats in town. Giant Sperm Whales are the star of the show and are seen all year round but it is also possible to see migrating Humpback whales, Pilot whales, Southern Right whales and Blue whales as well as pods of dolphins and wandering albatross. DAY 13 - 14: On leaving Kaikoura you will head inland to Arthur's Pass and the highest -altitude settlement in New Zealand. The pass was used by Maori to reach Westland but became an active route again during the gold rush when a pass was required over the southern alps. Rich in rainforest and beech trees Arthur's Pass National Park is the perfect place to relax for a day, to recharge your batteries or enjoy some leisurely activities such as horse-riding or walking. Day treks offer 360-degree views of snow-capped peaks, many of them over 2000m: the highest being Mt Murchison (2400m). Trekking is best done in the summer months January through April. DAY 15 - 17: This morning you will return the car and take a flight to Queenstown, the birthplace of bungy jumping but there is more to New Zealand's adventure hub than leaping off a bridge! Against the utterly stunning backdrop of the Remarkables Mountain Range visitors can spend days hiking, biking or skiing before dining out in a lively cosmopolitan city. You can go hang-gliding, river-rafting or jet boating or more leisurely activities such as wine tasting, lake cruises, and bush walks. The city is also the gateway through to the magnificent Fjordlands and notably Milford Sound. The choice of activities is entirely yours. DAY 18: Sadly this morning you say goodbye to New Zealand with your transfer to the airport and your international flight back home, or on somewhere else, via Auckland.